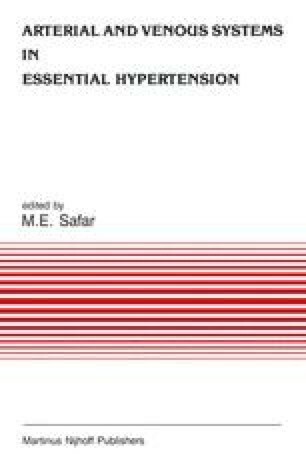 The function of intravascular volume is to ensure the adequacy of the circulation, i.e. a cardiac output adapted to the metabolic needs of the tissues. The adequacy of the circulation depends on its filling pressure, especially on the filling pressure of the heart [1, 2]. For the overall circulatory system, a well-defined relationship must exist between changes in blood volume and changes in circulatory filling pressure . The slope of the relationship between intravascular volume and pressure defines vascular compliance, which reflects the inherent elasticity of the vascular system [1, 2]. Changes in vascular. compliance are of primary importance in the control of cardiovascular function and extracellular fluid volume regulation [1, 2, 3].